In late October CTRG member Douglas Parry had the opportunity to present our work at two local conferences. At the Milton H. Erikson annual conference, he presented on the topic: Permanently Online, Permanently Connected: Media Multitasking and Distractibility – Is it so bad and What can we do about it? 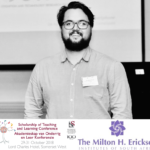 At the Stellenbosch University Scholarship of Teaching and Learning (SOTL) annual conference he presented on the topic: Lecturer versus Smartphone: Towards a Policy for Teaching Distracted Minds. Personal use of mobile devices like smartphones and laptops is prevalent in academic settings like lectures, practical classes and personal study sessions (Abramova et al., 2017). When students’ media use aligns with academic tasks, it can promote learning outcomes (Kong and Song, 2015). Evidence suggests, however, that the majority of media use is unrelated to academic activities (Zhang and Zhang, 2012). This is referred to as off-task media use (OTMU) and, as is evident in recent studies, it presents as a disruption, distracting both users and those around them (Chen and Yan, 2016). For both policy specification and lecture presentation OTMU poses a challenge for learning institutions. While some lecturers impose restrictive policies, others adopt passive stances, allowing students to use their devices as they deem appropriate (Berger, 2017). Researchers have called for investigations of policies that seek a solution which empowers students to leverage the value of media but curb the disrupting effects of unchecked OTMU. In this study, we conducted an exploratory mixed-methods assessment of a media-use policy in a semester-long course. 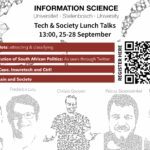 This policy divided the lecture theatre into two sections, one for those who wished to use digital devices and one for those who did not. Such a policy empowered students to leverage the value of media if desired while affording those who wished not to use media or be disrupted by their peers’ media-use, a degree of protection from distracting cues. Through attendance and mark analysis, it was found that those who consistently selected the same side performed better than those who moved from side to side. 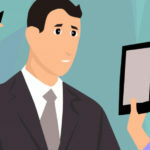 Additionally, through two focus groups, it was found that the policy heightened awareness of the possible distractions of OTMU, enabling the identification and maintenance of a strategy for in-lecture attentional allocation and behaviour. This study suggests that, while it is important to be aware of OTMU in lectures, it is also necessary to acknowledge the strategies students bring to lectures and how policies can be implemented and enforced to facilitate the acquisition and enhancement of attentional strategies aligned with a course’s learning outcomes.